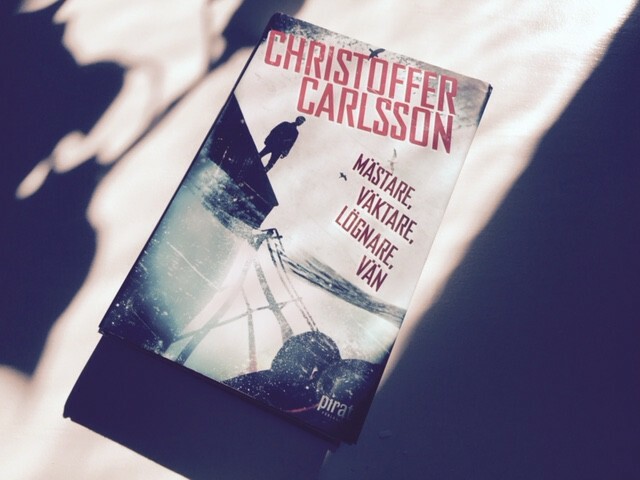 This is Christoffer Carlsson’s third novel in the series about the labile policeman Leo Junker. The first novel, The Invisible Man from Salem, was awarded Best Crime Novel of the Year in 2013 by the Swedish Crime Writers’ Academy. The second installment in the series, The Falling Detective, was published in 2014. If you want to know more about Christoffer Carlsson you can read our interview with him. Leo’s former mentor Charles Levin is the focus of this novel. He is found murdered in a small village in the countryside, which he moved to after his retirement. Levin was Leo’s friend, but who was he really? Dark secrets slowly appear. The novel shifts between the present and a 1980s colored by its division between east and west. Shifting between past and present we get to follow Levin’s life and actions; actions that have consequences, not only for Levin, but also for Leo and detective Tove Waltersson. Christoffer Carlsson skillfully ties most of the threads together at the end, but leaves the door open for a continuation. What hits me most with this series is the somber mood. It is not upbeat. Imagine a bit of boredom, bitterness, hopelessness and equal parts of sadness and loneliness. A feeling that the life just flew by, that life does not get better than this is a recurring feeling with many of the characters. Thankfully there is some hope and will to live in Leo Junker despite his difficult past and addiction. The publisher says that the novels are independent but I do not agree. Sure, you can read the novels separately, especially the second one, but there are a lot of things you will not understand in book three if you have not read the first one. Clearly you will enjoy it more if you read them all in the correct order.